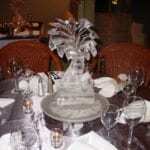 Making your wedding reception memorable requires great attention in the little details. 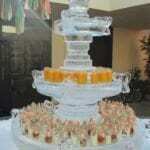 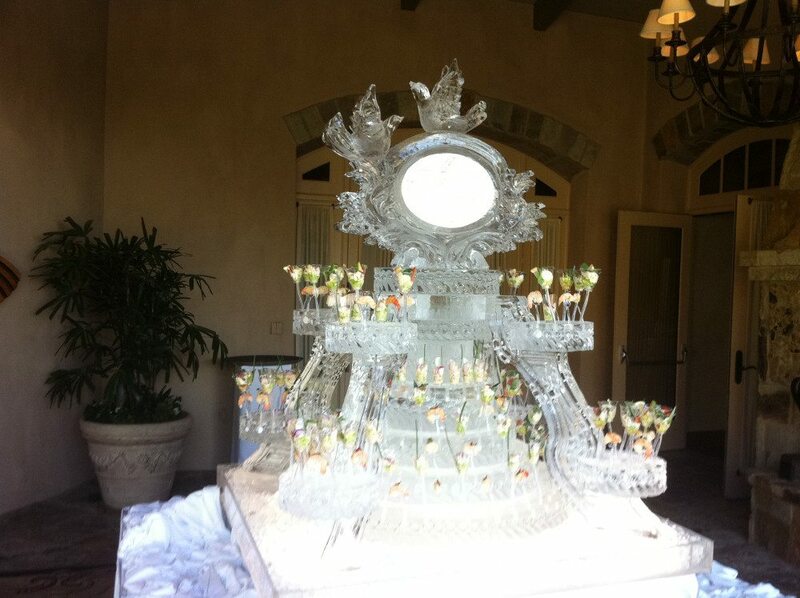 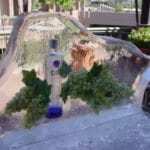 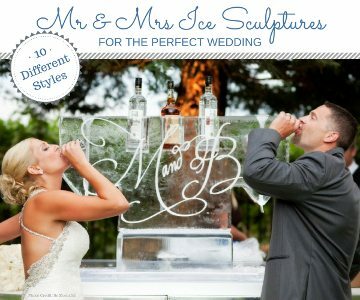 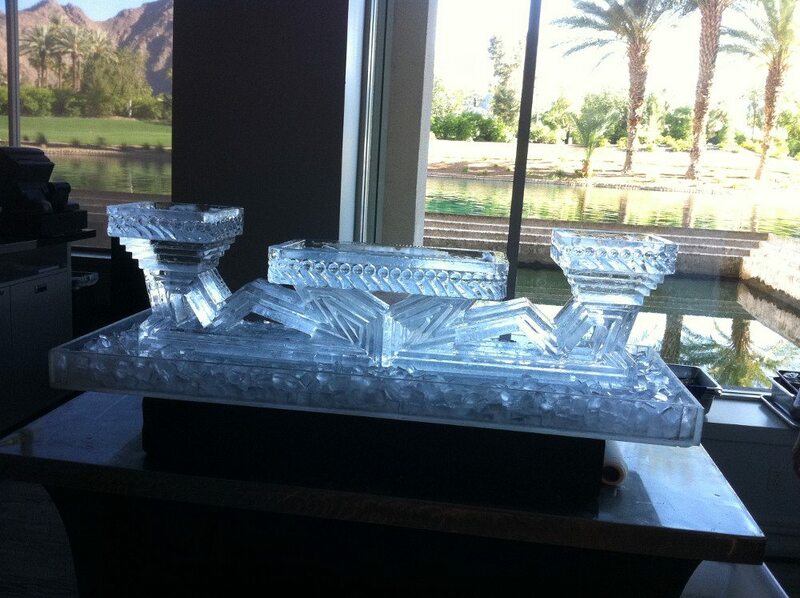 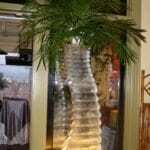 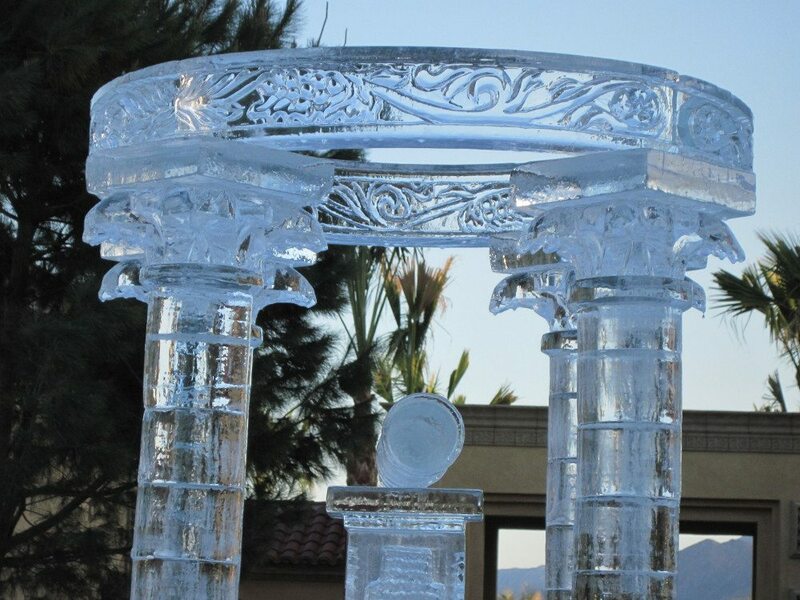 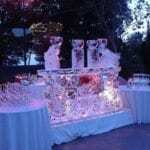 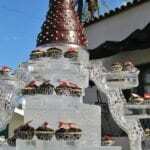 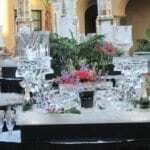 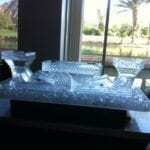 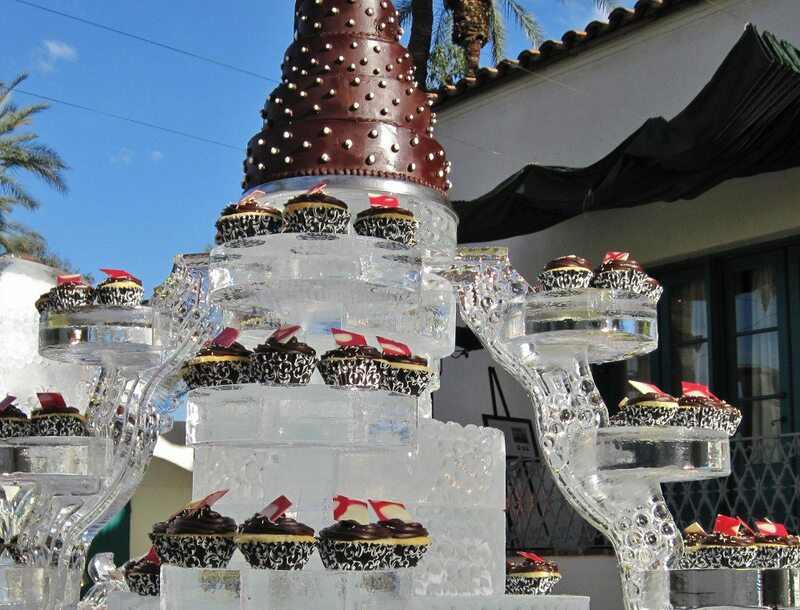 Ice sculptures and ice luges are the perfect way to add extra personalization to your wedding. 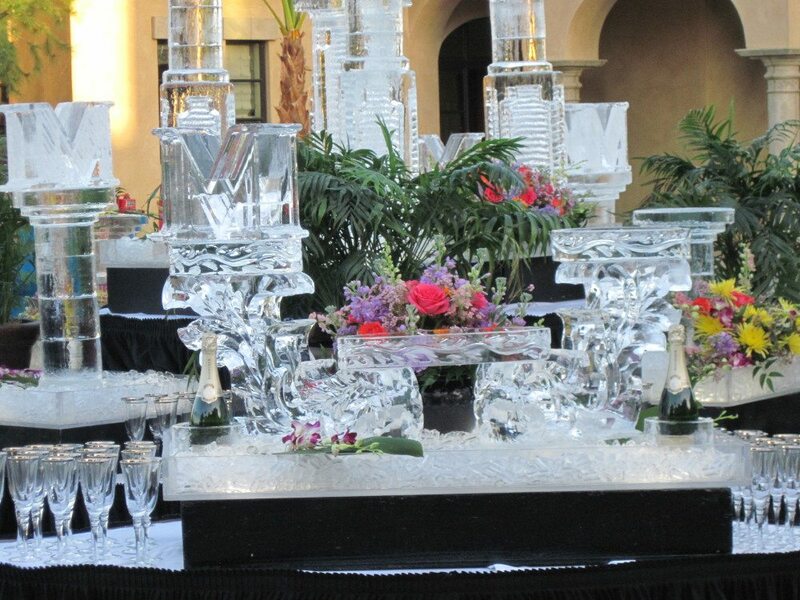 With so many options to choose from, there are a variety of ways to add a touch of elegance to your reception. 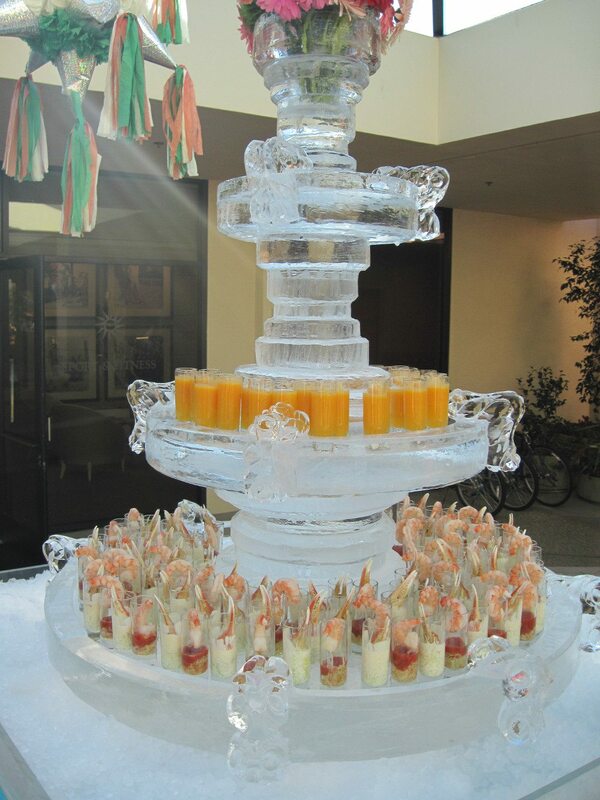 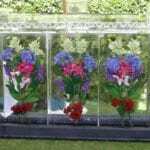 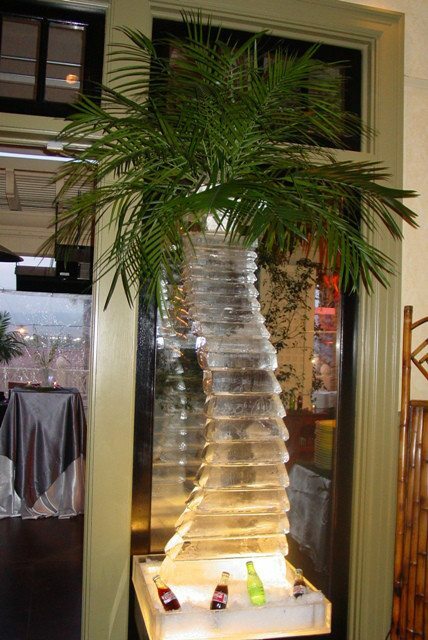 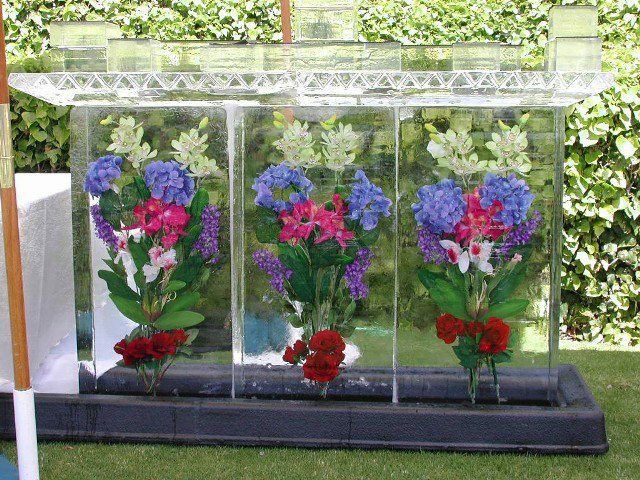 We can design a custom ice sculpture to act as your head table centerpiece, or large ice pillars with flowers to greet guests as they enter the hall. 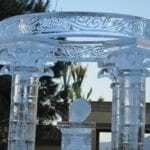 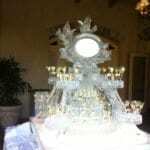 We can etch your names or your initials on an elaborate sculpture of your choice, or make you a customized ice frame with a peek-a-boo window where you and your guests can take a photo posing in the center. 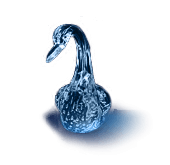 You can choose from popular designs such as the love statue and an elegant angel, or you can choose to have your name etched on two swans that can be lit up to be any color you want. 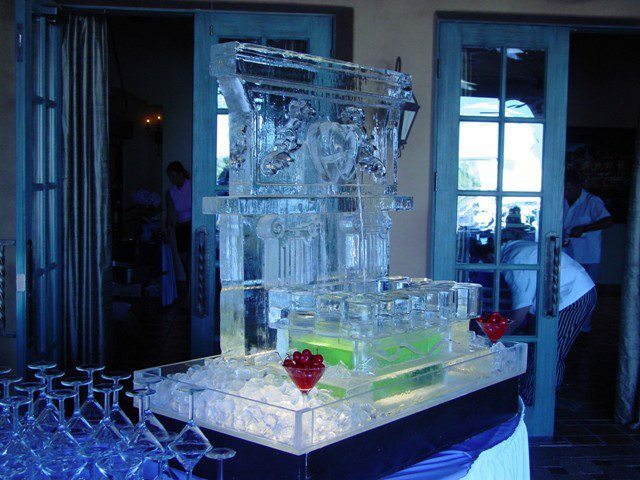 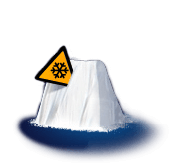 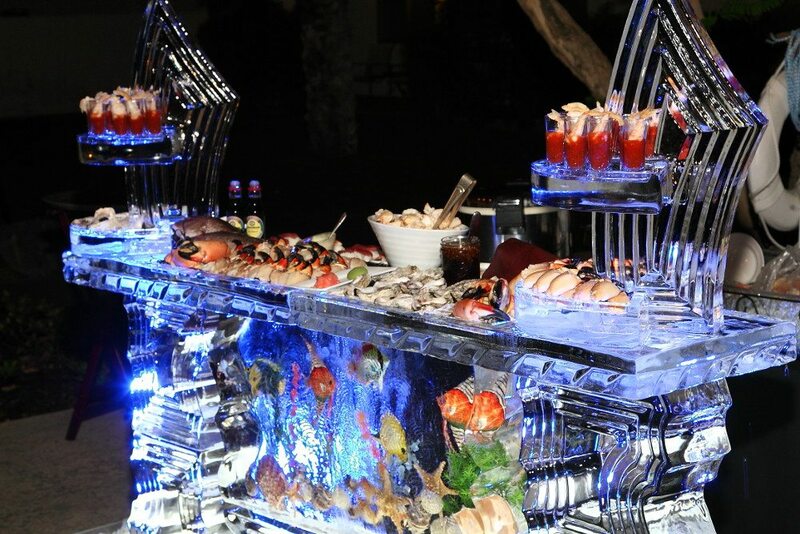 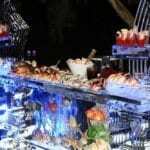 Ice luges liven up the party by delivering ice cold shots of your guests favorite drinks. 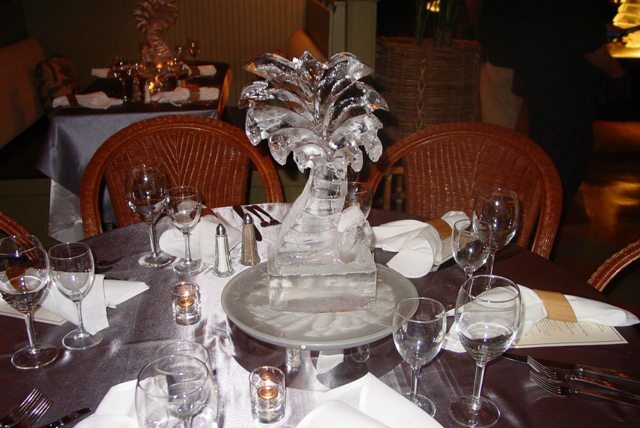 Ice sculptures have evolved significantly in recent years, and that includes offering a full decorative bar made of ice to keep your drinks cold. 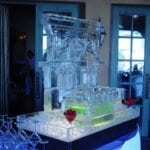 This would be a complete bar capable of holding several bottles of liquor, and serving guests on its chilly bar top. 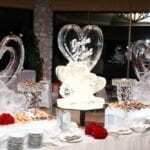 We have a variety of designs, and we can also customize our designs to make them perfect for your special day. 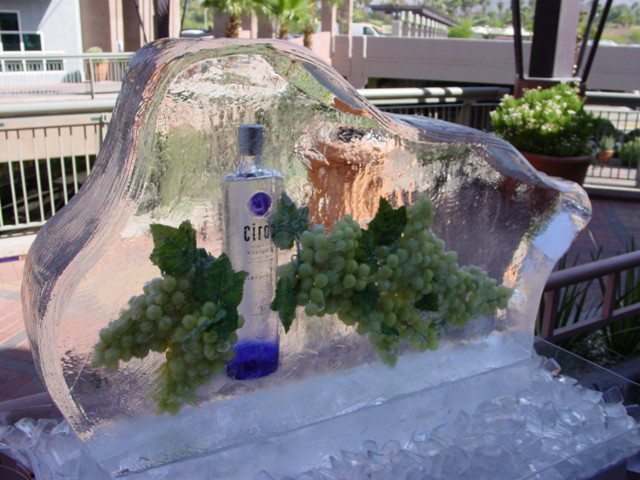 Ice ware is also available such as ice buckets to hold your white wine and champagne, ice serving trays, ice punch bowls and serving bowls. 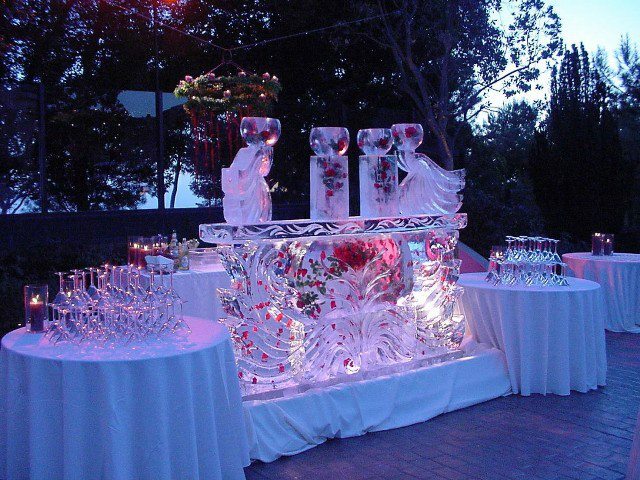 Accessories such as flowers and decorative accents can be frozen into the ice bar and ice ware to keep the theme of your wedding consistent throughout every detail. 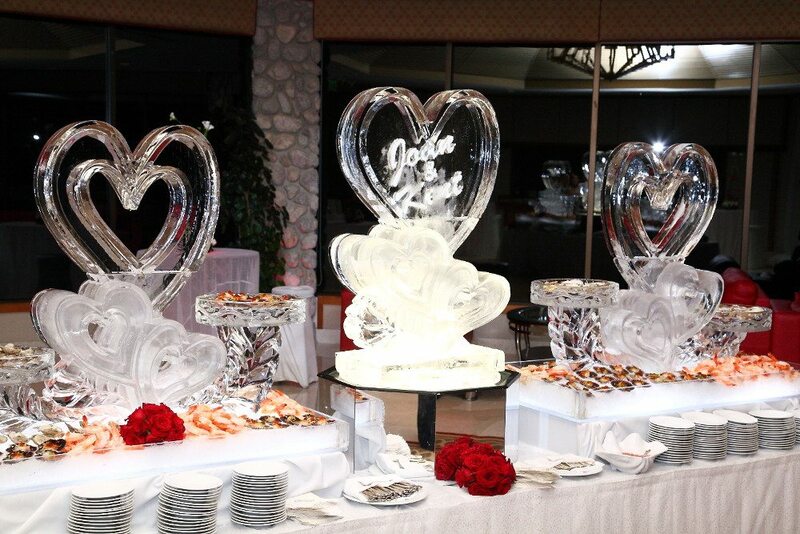 Our ice sculptures are designed to last for your entire reception, which means a full night of crystal designs and color. 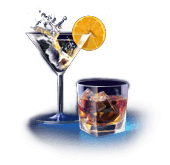 We have a full library of designs you can choose from, or we can even work with you on something that no one has ever seen before.